Design and construction of an Aircraft Maintenance Complex for intermediate level maintenance repair of Royal Malaysian Air Force MiG 29 aircraft. The complex is centred around a 60 metre wide x 80 metre long fighter maintenance hangar with workshops, administration and technical facilities, plus full-width mechanical hangar doors. Other Spantech buildings in the facility include a fighter aircraft wash bay, shaded parking for emergency vehicles, equipment stores and undercover parking for staff and visitors. The project was designed and constructed under contract with Spantech’s Malaysian licensee, Target Resources Sdn Bhd. During the upgrade of the airport terminal, Architect Steve Turner wanted to emulate the gently curving roof of the existing building, while avoiding the expense and visual clutter of the external overhead cables and columns used on Stage I. Read more. Spantech was one of the few suppliers with the capability to provide the roof for the new Lord Howe Island Airport Terminal. Read more. The Queensland Air Museum is a non profit community group preserving Australia's aviation heritage. 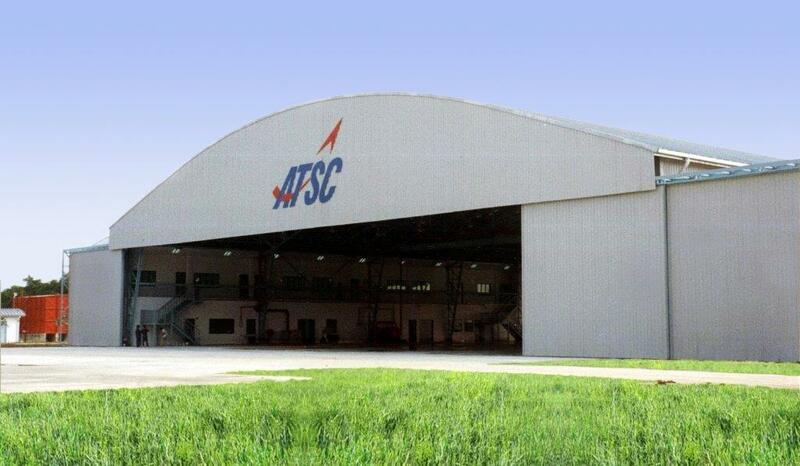 Spantech designed and constructed Hangar 1 in the classic Quonset style. Read more. Spantech was selected to design and install the angled structural steel columns and beams, Spantech 300 Series curved roof, flashings and insulated acoustic ceilings for the Roma Airport Terminal. Read more.